Leading Manufacturer of 3-axis polyurethane manipulator, polyurethane double manipulator, polyurethane manipulator and single polyurethane manipulator from Greater Noida. 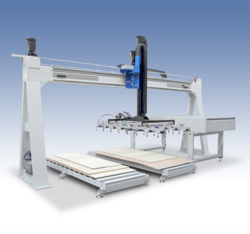 We have high-end expertise in manufacturing the best 3-axis Polyurethane Manipulator that have been tested for its quality and long-lasting performance. 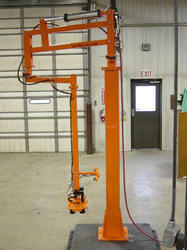 Our 3-axis Polyurethane Manipulator has been designed to cater to various requirements of our clients. The dimensional accuracy of this product is commendable which enables the user to achieve the satisfaction of the highest levels. 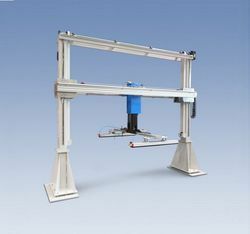 Our 3-axis Polyurethane Manipulator has been designed keeping in mind the various requirements and challenges pertaining to the relevant industry it is used for. This product is highly durable and exhibits a great deal of accuracy in terms of its functionality and does not allow leakages. We are offering Polyurethane Double Manipulator that have been tested for its quality and long-lasting performance. We are amongst the most Polyurethane Manipulator manufacturers who are also engaged in offering an extensive range of instruments at very reasonable prices. These are fabricated by our diligent workforce using highly advanced production process. We have achieved a great deal of expertise in manufacturing of the most durable Single Polyurethane Manipulator available in the industry. The product is designed to cater to the multiple requirements of our clients and have been thoroughly checked for its wear and tear resistance. We have ensured that this product does not corrode easily. The Single Polyurethane Manipulators which we offer are manufactured keeping in mind the various operating functionalities. The price of our Single Polyurethane Manipulators is the best one can get in the industry which is widely appreciated by our clients as well. 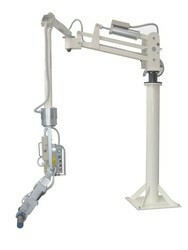 Looking for Polyurethane Manipulator ?